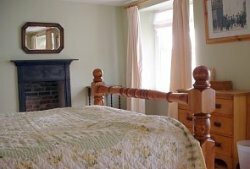 The Grey House is a beautiful and fully equipped Old English Townhouse situated in The Square of the medieval Somerset town of Axbridge. Parts of "The Grey House" date from the 16th century and it abounds with character internally, including ing exposed beams and plenty more period features. 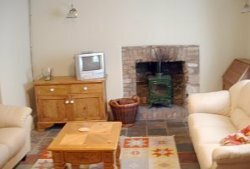 There is a wood burner in the sitting room, slate tiled floors on the ground floor, and stripped wooden latch doors throughout. Yet it still benefits from the modern conveniences discerning visitors will expect including a gas burner in the breakfast room, TV with video and DVD player, and stereos/CD players in the bedrooms. Step outside and you are in the heart of the town with inns and restaurants right on your doorstep. 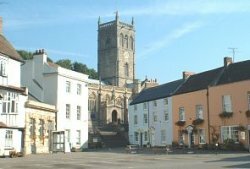 For lovers of history, King Johns Hunting Lodge is just across The Square, as is the 13th C Church of St John the Baptist. Both are steeped in history and well worth a visit. A stay in "The Grey House" will let you take a step back in time without having to suffer any of the inconveniences of a bygone age. 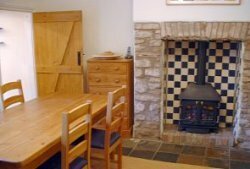 With 4 bedrooms and 2 bathrooms, this self-catering cottage can comfortably accomodate 8 to 9 people.